It is a joy and great honour to us, when others like what we write. Each time I get surprised by the positive feed-back we tend to receive from all corners of the world, through e-mails or personally. 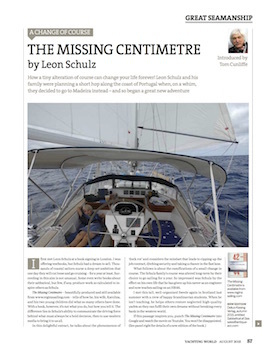 One time, a, for me, unknown person came straight to me at a boat show saying “Leon?! – Oh, it feels as if I know you so well, while you certainly don’t know me…” True, and a strange feeling for me. This became a nice meeting nevertheless, just as we have made numerous new friends through our web-site. 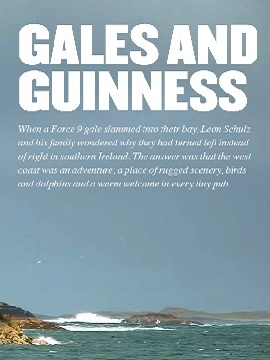 I feel happy to have inspired others by our writing, resulting from our family sailing adventures, or when I can assist our new friends in choosing the right gear for them. I take a pride in that we have also been contacted by some publishers throughout, who have requested to publish an article from us. 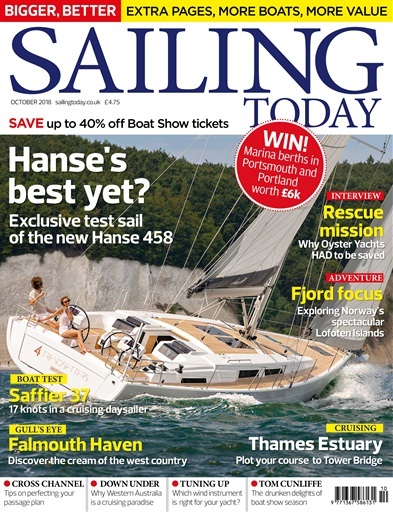 A hands-on testimonial by editor in chief Sam Fortescue how he experienced changing the interior lighting in his 30 years old Sadler 34 from halogen to modern state-of-the art Båtsystem LED lights. Photos of Regina Laska. 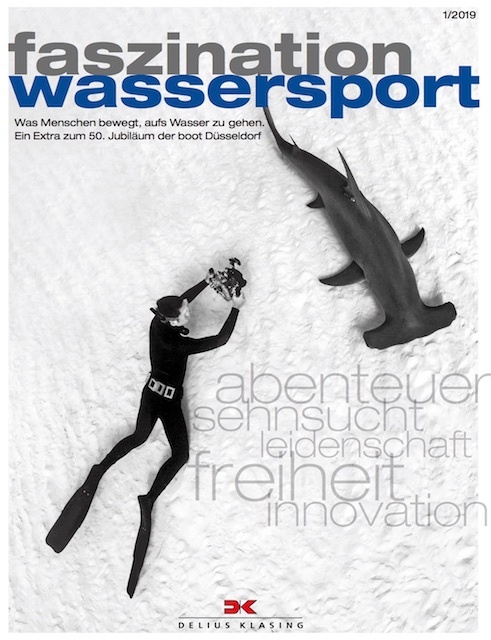 Featuring 50 international personalities who have influenced watersports during the last 50 years: From Mark Twain and Hamphrey Bogart via Laura Dekker to Wilfried Erdmann and Rolf Vrolijk. 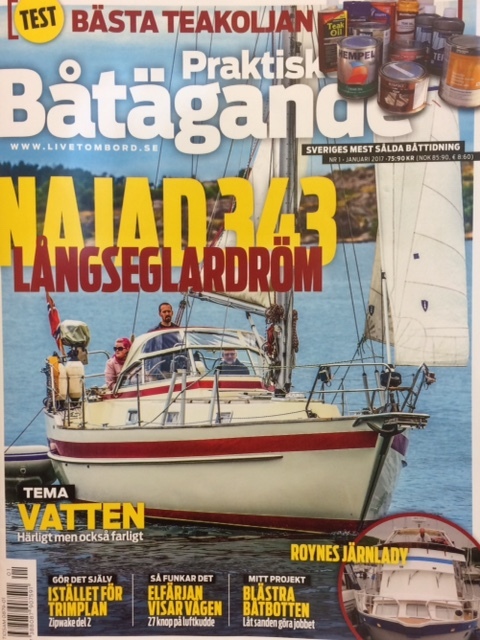 Guess my surprise, when I was featured as one of them who have helped many to fulfil their sailing dreams...! It took a while to overcome the embarrassment to post it here. 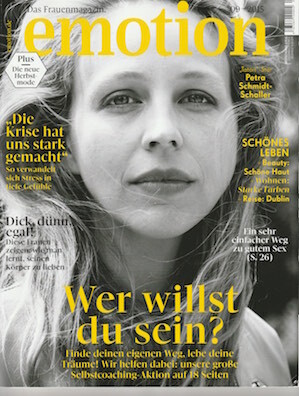 But I'm a bit proud as well... (p. 48 in German). 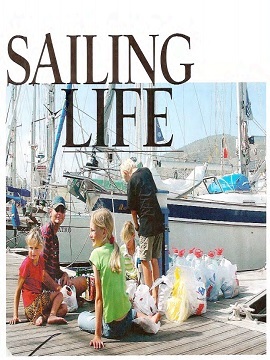 Sailing can be begun at any age and many discover the freedom and fulfilment of sailing rather late in life. 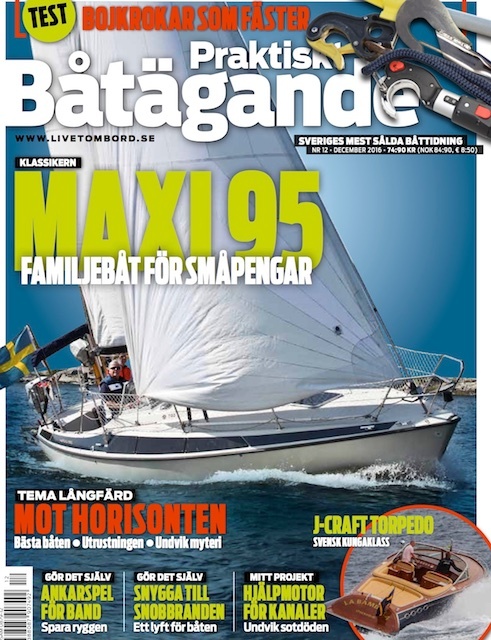 There is no reason why age should hinder you to start sailing and there are sailing schools targeting students valuing Safety, Comfort and Style (in German). 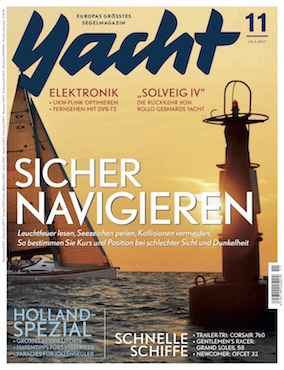 Sailing during night can feel daunting, but if you take it step by step and learn some basics, it can be a great experience (in German). For copyright reasons, only the first pages may be shown here. 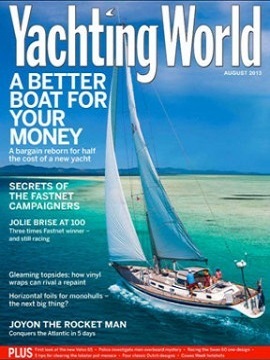 You may, however, contact me for info how to buy the issue with the article from the publishers. The good old magnetic compass. 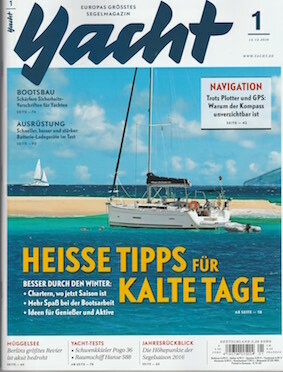 Background, usage as well as tipps and tricks how to get the most out of your most essential and oldest mean of navigation (In German). For copyright reasons, only the first pages may be shown here. 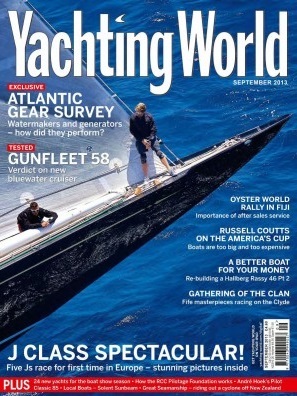 You may, however, contact me for info how to buy the issue with the article from the publishers. 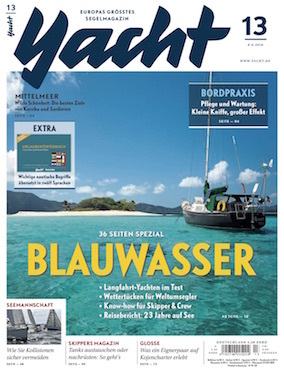 Blue-water special edition. 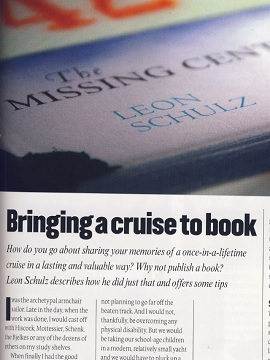 Leon is being interviewed about what really matters when you plan your ocean voyage or sabbatical. Experience, the boat and its equipment. 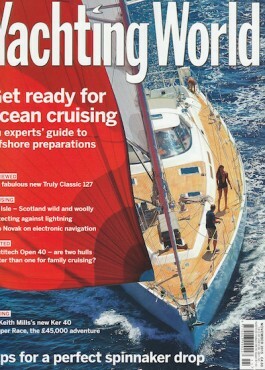 What makes a crew and boat suitable for blue-water sailing? 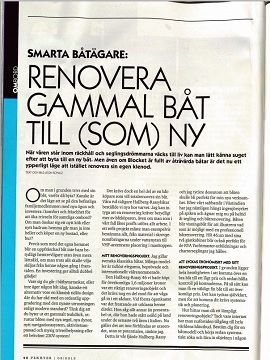 In Swedish. 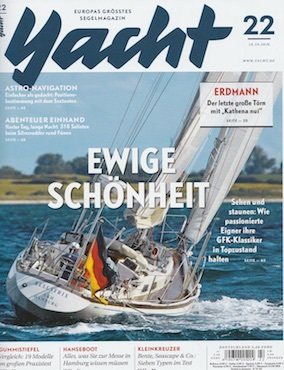 Navigating with the sextant by hand by means of tables - the principles (In German). For copyright reasons, only the first pages may be shown here. 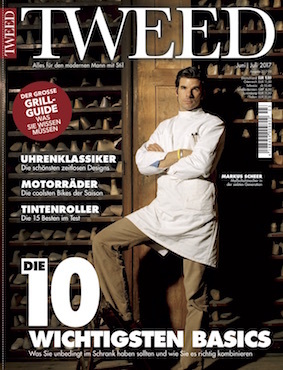 You may, however, contact me for info how to buy the issue with the article from the publishers. What the crew needs to know before it casts of for a sabbatical (In German). For copyright reasons, only the first pages may be shown here. 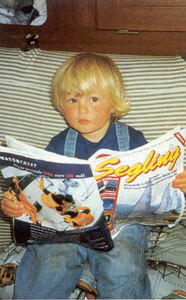 You may, however, contact me for info how to buy the issue with the article from the publishers. 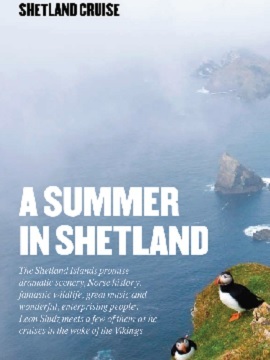 It took two summers for me to get a true Fair Isle from Fair Isle, the island between Orkney and Shetland so famous for their sweaters. 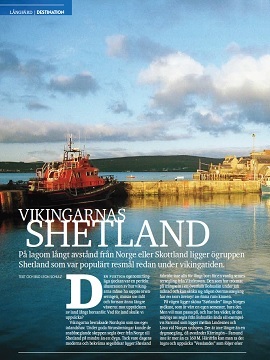 The article is about living on an island and its people. 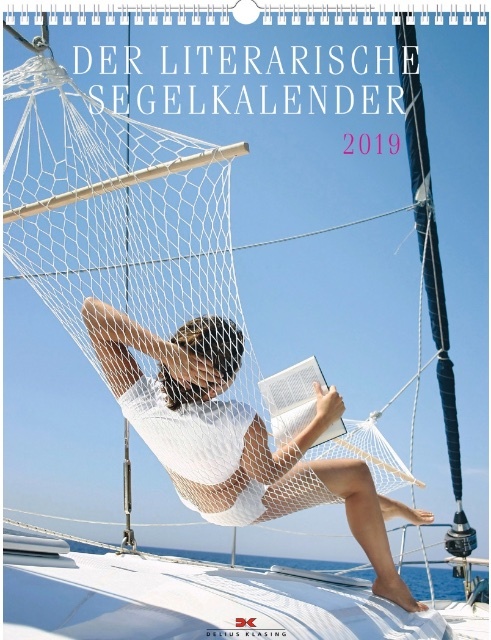 Being interviewed for the German women's magazine EMOTIONS, talking about the possibility, background and the feeling of taking a sabbatical in life, in this case on a sailing boat.